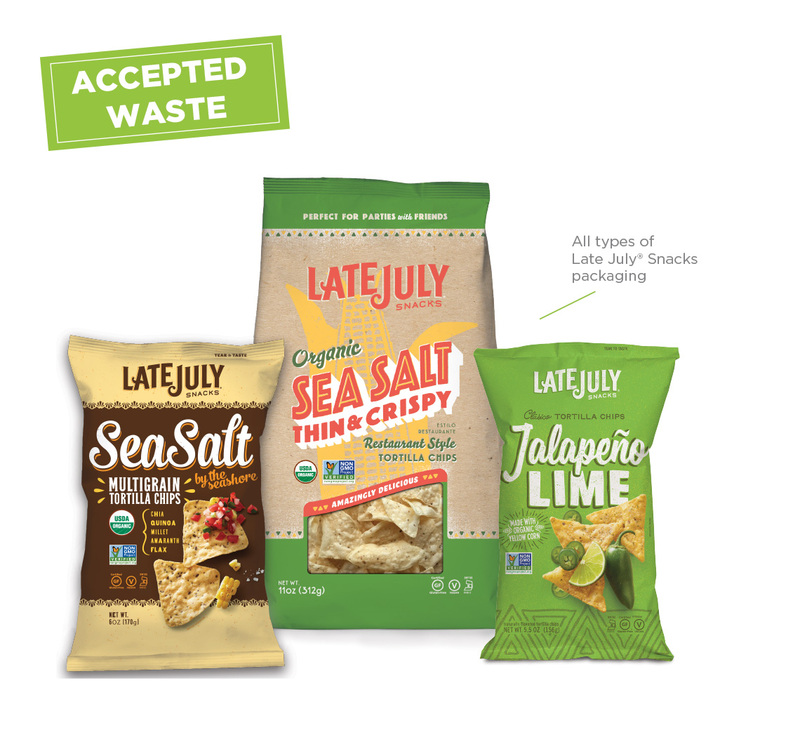 Recycle all Late July® Snacks packaging through this program. All types of Late July® Snacks packaging. Can I only collect Late July® Snacks-branded packaging? Yes, this free recycling program is brand-specific, which means you can only recycle packaging of this particular brand. To earn TerraCycle points, your shipments must weigh at least 2 lb. If your shipment meets or exceeds the shipment size requirement, you will earn 100 pts/lb. I have a Late July® Snacks recycling envelope. Can I still use it? Yes, once your recycling envelope is full of Late July® Snacks packaging, you can send it back to us for recycling. Why can't I request a recycling envelope for this program anymore? Due to popular demand, the Late July® Snacks Recycling Envelope Program has transitioned from an envelope program to a standard free recycling program. Now you can join the program, download a free UPS label, and ship us your Late July® Snacks packaging in any size box you have.